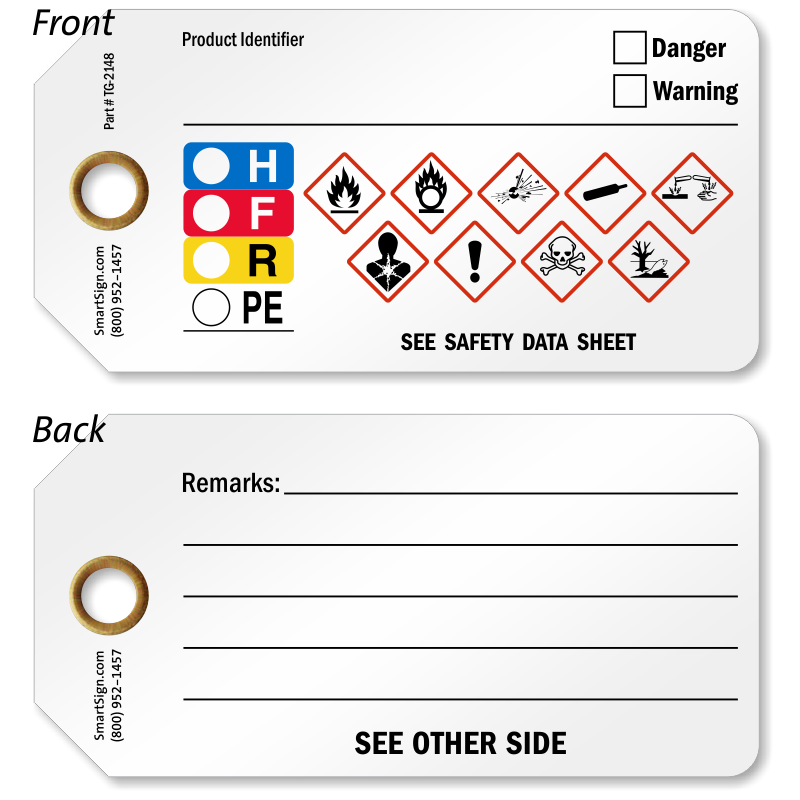 Use HMIG-HMIS tags when the contents of a secondary container change and it is not practical to apply a label. 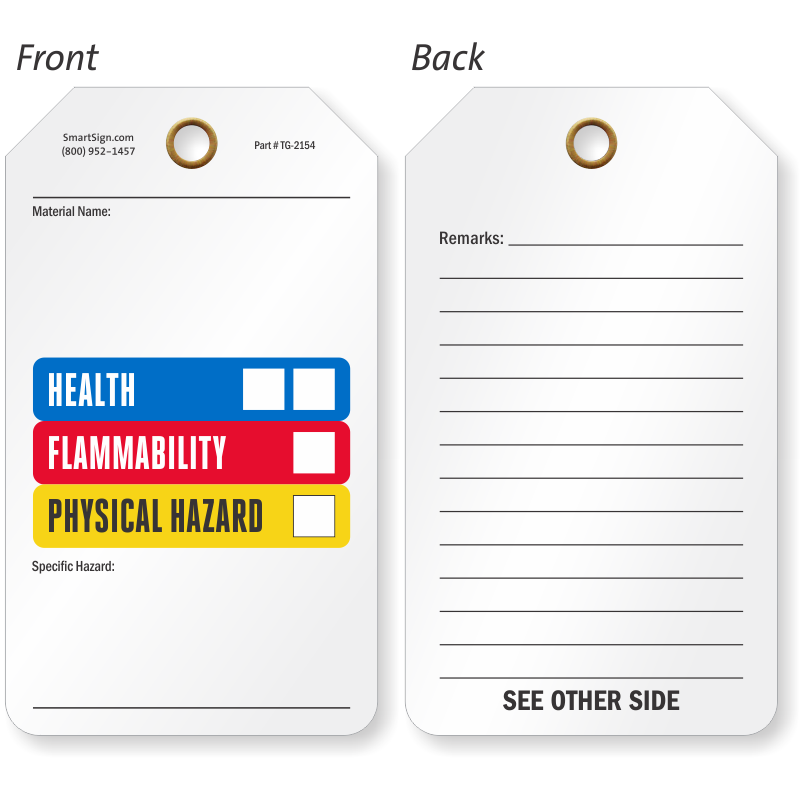 • Self-laminating tags have a useful feature – after you complete the ratings for your HMIG-HMIS tag, the tag’s built-in flap seals in your writing. Thus, your rating and field-applied information is made permanent (e.g. withstands chemical exposure). 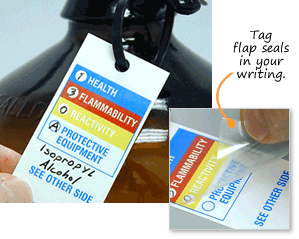 • Another important advantage to these tags is the ability to use the check-off sections on the back of the tag. 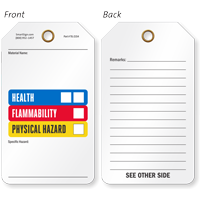 Show your chemical’s Target Organ Effects, the Route of Entry and the associated Physical and Health Hazards. This single tag can convey a wide range of incredibly useful (and timely) information! 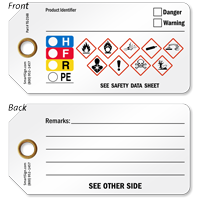 • Also find our handy Hazardous Waste tag. This design can be ordered in a range of durable plastic materials. Tags are great to attach to drum racks, pallets or other smaller containers. Fill out your own label. Convenient sizes and proven materials. Some labels with a self-laminating flap.